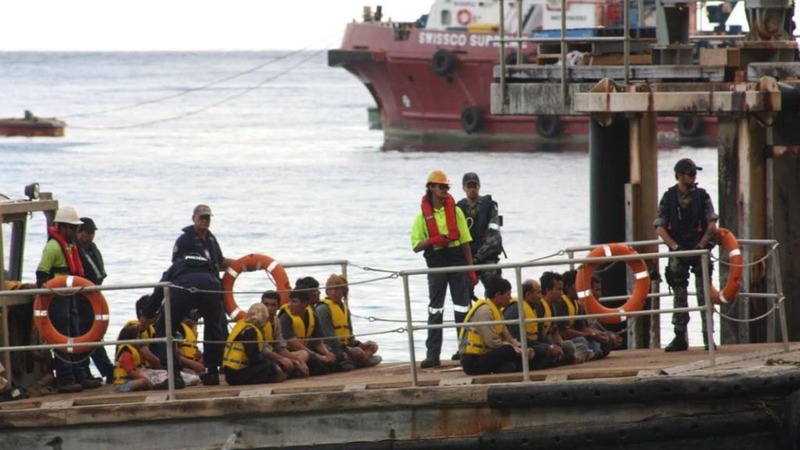 Australia's immigration minister believes the country's military-led plan to stop the scourge of people smuggling will always be necessary. SYDNEY: When the conservative coalition government swept to power in Australia in September 2013, it had promised a military-led response to stop desperate people paying smugglers to help them find a new life in a prosperous country. Australia was "going to war" on evil smugglers out to exploit and profit from human suffering, all too often costing migrants their lives on death-trap vessels that sank at sea. Dubbed Operation Sovereign Borders, the government's uncompromising stance resonated with voters alarmed by the spike in boat arrivals. Between 2008 and 2013, when the Labor government was in power, more than 50,000 people made perilous sea voyages to Australia. Most set out from Indonesian ports, taking their chances on decrepit vessels having been sold the promise of a new start in an affluent nation. Arrivals peaked in that election year, with 300 boats bringing more than 20,000 people into Australian waters. The Australian public apparently liked what they saw in the Liberal-National coalition's plan to use the navy to intercept, and when safe, turn smugglers' boats around at sea. After the coalition's 2013 victory, boat arrivals plunged. In 2014, the government reported just one boat arrival. And since then, there's been none. Immigration Minister Peter Dutton says that's thanks in large part to the naval vessels attached to Operation Sovereign Borders, which have turned back 30 boats, preventing 765 people reaching Australia. Dutton is proud of the operation and how it has worked alongside a vow never to resettle any refugee who arrives by boat, and Australia's strict regime of processing what it calls illegal maritime arrivals offshore, in Australian-funded detention centres on Papua New Guinea's Manus Island, and the Pacific island nation of Nauru. "We have destroyed the people smugglers' product. Their product was 'pay the money, hop on the boat, you'll settle in Australia'," Dutton says. "We've taken the sugar off the table. We've upturned the table and we've said to people that you aren't coming here." Dutton is unapologetic about his government's hardline approach in an era of unprecedented human displacement driven by poverty, economic aspirations, and more frequent and longer-lasting conflicts. "There are 65 million displaced people in the world so people will want to come to a country like Australia until we find world peace, until conflicts are resolved, and until people won't seek a better outcome, economically, for their families." Dutton sees a military response to people smuggling as a permanent fixture on Australia's security landscape, and rails against critics who have accused his government of a heartless response to a humanitarian crisis. 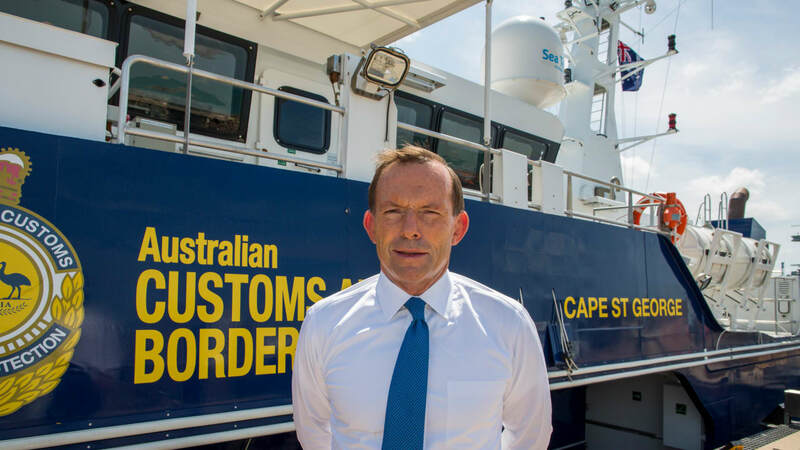 "Since Operation Sovereign Borders commenced, we have not had a drowning at sea in three years," he says, repeating his oft-cited figure of 1200 deaths at sea in the six years Labor was in power up until 2013. "They were pulling the bodies of children, dismembered, from the water ... children attacked by sharks, and they were pulling the remains of those torsos from the water." Frank Laczko, the director of the International Organization for Migration's Global Migration Data Analysis Centre in Berlin, says there can be no arguing that Australia's policies have stopped the steady stream of smugglers' boats. "People say that Australia has effectively pushed its borders further to the north. There has been a lot of criticism about how Australia has done this," he says. "But on the other hand, people tend to forget that Australia is one of the few countries in the world, alongside Canada and the United States, which has a track record of accepting large numbers of refugees through legal means, through its resettlement plan." Dutton is at pains to point that out too: as Australia has aggressively ramped up its stop-the-boats policies, it's also opened its door wider to refugees seeking resettlement through official channels. "We are, on a per capita basis, the second-most generous nation in the world in terms of the number of refugees that we bring in." 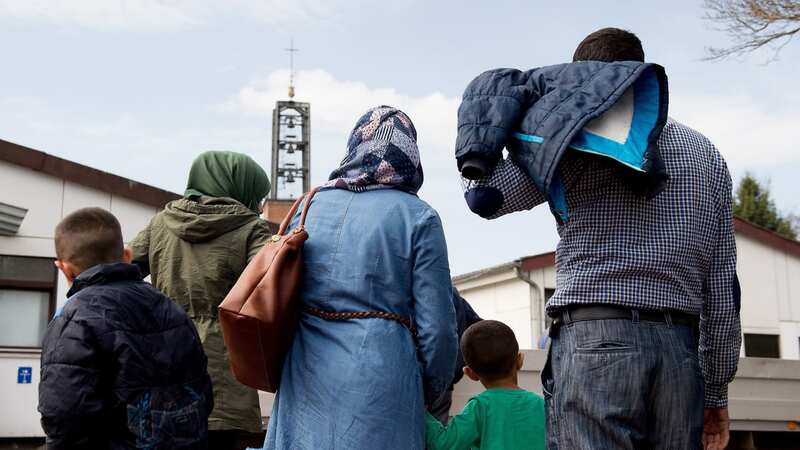 He says a record number of refugees is being resettled but that's only been possible because his government has reasserted control of Australia's borders. "The public will not support a government bringing additional people in through the humanitarian program unless you have control of your borders." Australian criminologist Fiona David is an expert on migrant smuggling in Southeast Asia and the executive director of global research for the Walk Free Foundation, which works towards ending modern-day slavery. She says efforts to prevent desperate people from drowning at sea cannot be criticised. "But any law enforcement response, whether it's building a wall or putting boats on the border, ... needs to be matched with efforts to allow people to safely migrate," she says. "We've certainly seen a lot of focus on the border security and the border control response in Australia. I'm not sure we've seen as much focus on enabling safe migration throughout our region and globally. And that's where I'd like to see Australia focus more." She also believes Australia must dramatically ramp up the financial aid it gives to countries most affected by the refugee tide. "The Australian government has been quite active in supporting some of the countries that are neighbouring Syria, for example," she says. "But the amounts of money that are being spent are quite small when you look at the amounts of money being spent on something like Operation Sovereign Borders." She says Australia's approach has undoubtedly acted as a deterrent to those who might once have climbed aboard death-trap boats bound for Australia. "But have they stopped the number of people wanting to travel to other countries? Have they stopped the number of people who are willing to facilitate that travel? I think the answer is no." Dutton accepts the threat smugglers pose will be ever present but warns if Australia decides to end Operation Sovereign Borders, there will be a resurgence in boat numbers. "It must be an enduring part of the response to people moving," he says. Father-of-four Omar went from construction worker to people smuggler when Syria’s civil unrest began. The facilitation of illegal immigration is becoming increasingly professional. Observers point to gaps between Australia’s human rights obligations and how it treats refugees.